This is a digital product. No physical item will be sent. You will receive one 5"x7"(inches) high resolution (300dpi) digital invitation in JPEG format. 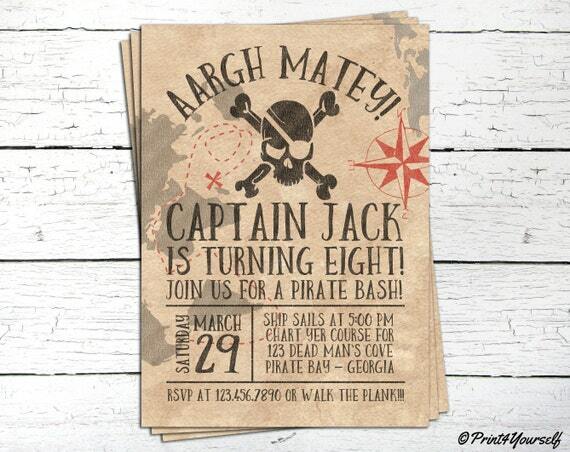 This is a DIGITAL DESIGN, NOT an actual printed invitation. No FONT, COLOUR AND LAYOUT modifications are available with this purchase. 1. Place your order and make a payment. 2. Please include the following in the message to seller: The information that you would like on the invitation and THE EXACT text (Child's first name, turning age, date, time & location, RSVP). 3. Your invitation will arrive by e-mail within 1-3 business days, ready to be printed at home or at your local print store like Wallmart, Costo or CVS . ©Print4Yourself. These files are for personal use only! Commercial use, reselling of printed items, mass production, and file sharing is prohibited. Colors may vary between online viewing and your actual printed product. All monitors display color differently; please take this into consideration when placing your order. There is no refund offered on these sales, due to the nature of the item(s). If you are unsatisfied for any reason please contact me. Kitchen Bridal Shower Invitation #4. Kitchen Shower Invitation. Stock The Kitchen Shower. Bridal Shower Party. Kitchen Bridal Invitation. Teacher Fingerprint Gift. Teacher Fingerprint Appreciation Gift. Fingerprint Apple. Fingerprint Teacher Appreciation Print. Teacher Gift. Baby Shower Fingerprint Guestbook. Baby Shower Fingerprint Guestbook. Fingerprint Guestbook. Fingerprint Guestbook Print. Baby Shower. Crab Boil Invitation. Crab Boil Birthday Invitation. Seafood Birthday Invite. Crab Invite. Seafood Invite. Crab Fest. Crab Boil Birthday.